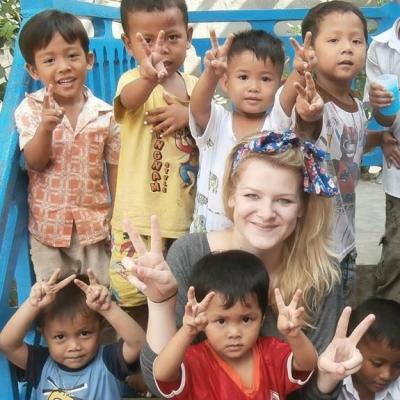 Volunteer with children in Cambodia at a kindergarten or care centre, and fill every day with learning. We work with children from disadvantaged areas, and we need your help to give them the extra support they need. This is a wonderful way for you to give back and gain practical childcare experience at the same time. As a volunteer, you’ll become part of our ongoing efforts to support children in Cambodia. You’ll do this by planning and running fun, educational activities to promote early childhood development. For example, you can play a ball game to help kids improve their hand-eye coordination. The work you do here is important, as many parents who send their children to these centres work full-time. They need a safe place where their children can stay during the day. With a child safely at school, both parents can work, ensuring a bigger income to support their family. You’ll be based in Phnom Penh, Cambodia’s bustling capital city, and live in an apartment with other volunteers. In your free time, make the most of your time here, and do as much as possible! Is working with children in Cambodia right for me? If you enjoy working with young kids and want to support their education while travelling in Asia, then working with children in Cambodia is for you. You’ll become part of our ongoing efforts to improve early childhood education at disadvantaged care centres. You don’t need previous experience to join. You’ll support local teachers and caregivers, and Projects Abroad staff are there to help you if you need it. Before you start, you’ll receive a thorough induction to the project and your Projects Abroad Coordinator will explain in detail what’s required of you. You’ll have access to a database full of resources such as worksheets, class activities, and creative games. 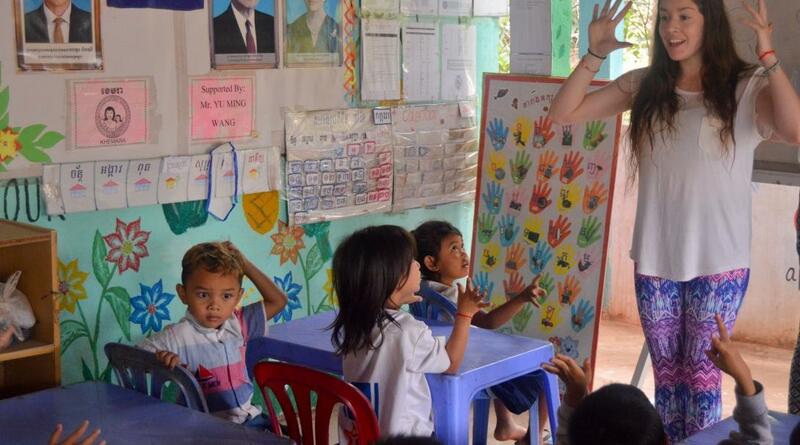 In addition, we run regular workshops for all our Childcare and Teaching volunteers in Cambodia. You can exchange ideas, discuss challenges, and more. This is a great way for you to help where it’s needed most and learn new skills at the same time. You’ll gain childcare experience, and hone personal skills like communication and problem solving. Our Childcare Project in Cambodia runs throughout the year, and you can join at any time from a minimum of two weeks. We recommend staying longer to make a bigger impact at your placement. In Cambodia, promoting early childhood development is one of our main goals. We want to make sure each child we work with learns the skills they need to succeed at school. You’ll help us work toward this goal by improving literacy and numeracy, and teaching English. You’ll also play games and sports to help children improve their motor skills, like catching and balancing. Each week, you’ll spend a minimum of five hours teaching English. This is important work, as the children benefit significantly from having an English speaker to practice with. One of our other goals is to improve hygiene levels of the children. We focus on sharing knowledge with the children, telling them about the benefits of practicing good hygiene everyday. This will help prevent the spread of disease, and improve their overall wellbeing. 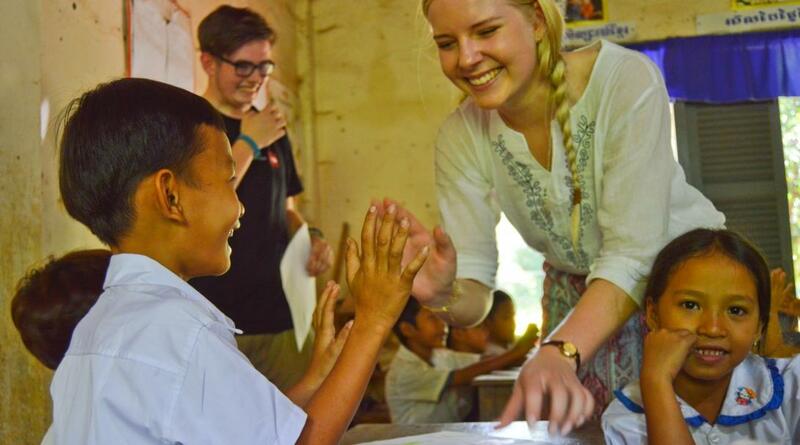 In Cambodia, we mainly do this through educational campaigns, hands-on demonstrations, and role play activities. You’ll assist with health check-ups every two weeks. This includes recording if they are at a healthy height and weight. Showing them how to do it first and a good congratulatory cheer at the end will make them grin and encourage them to be first in line next month! Many of the care centres have reduced their staff to child ratio. This means that each child is able to receive a higher level of attention that is vital during their early years. The local staff are very hands-on, but they need extra support. As a volunteer, you’ll alleviate some of the pressure. By taking over a few responsibilities, you’ll free up their time for other management tasks. This helps ensure the smooth running of the care centre. You’ll also assist with a few day-to-day activities at the care centres such as setting up of tables, cleaning, and maintenance work. Projects Abroad has elected not to work with children in orphanages in Cambodia. Instead, we focus on community-based programmes that allow children to remain within their families. One such partner placement is Khemara, a long established non-governmental organisation (NGO). 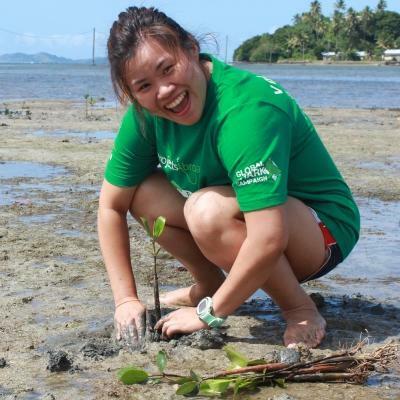 Khemara’s goal is to improve the quality of life for Cambodian women and children. Every vulnerable person deserves a chance to improve their lives. The NGO has set out to educate those who have been subject to poverty and abuse, and this is something you will be a part of. Our Childcare Project is based in Phnom Penh, a breathtaking city along the banks of the Tonlé Sap and Mekong Rivers. Cambodia is rapidly developing and modernising their cities, and even within the course of a few months, you’ll see significant changes around Phnom Penh. The magnificent Angkor Wat Temples, which are unrivaled in size and grandeur, are close enough for a weekend visit. You’ll work in kindergartens and daycare centres. These placements might be quite different to childcare centres in your home country, due to the more rural areas where they are based. You can expect the facilities to be basic. The smell of a fresh Cambodian breakfast will greet you every morning as you wake up in the apartment to start your day. After freshening up and refueling, a tuk tuk organised by Projects Abroad will pick you up and drive you to your placement. You’ll also be involved in day-to-day activities and lend a hand during mealtimes. The children have two meals a day and snacktime. Your day is also broken up with a lunch break. In the afternoons, you can prepare your activities for the next day. Once you’re finished working for the day, you can relax at the apartment with other volunteers and have dinner together. Over weekends, you can visit heritage sites open to tourists. We recommend visiting the Royal Palace, S21 Museum, or the Killing Fields, to get a deeper understanding of Cambodian history. 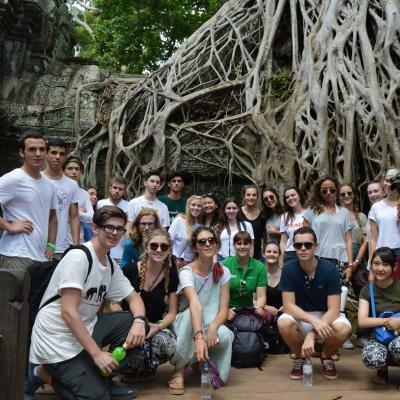 Or, organise weekend trips to the famous Angkor Wat Temples and spend the weekend soaking up some sun at the beach. 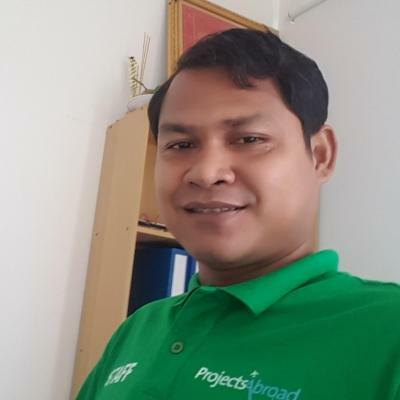 The aim of this project is to improve early childhood development in Cambodia. Cambodia has a low level of education and many care centres are underfunded. Many families also cannot afford to send their children to daycare centres and kindergartens while they are at work. This is something that our partner, the Khemara Organisation, and other NGOs are trying to improve. To help them, we provide financial support and help from volunteers. Children who get a solid foundation at pre-school have a higher success rate, and are more likely to go all the way to secondary school. Please note that Projects Abroad has elected not to work with children in orphanages in Cambodia. Instead, we rather focus on community-based programmes that allow children to remain within their families. 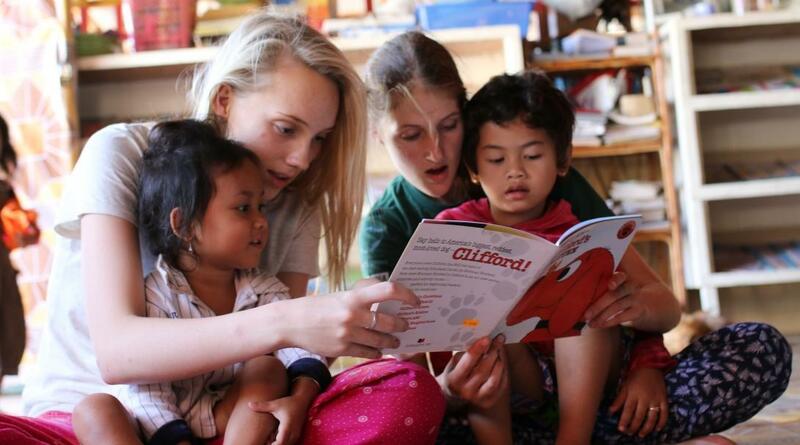 Help us achieve these long-term goals by joining us as a Childcare volunteer in Cambodia. My morning lessons were my favourite part of the day. I managed to teach songs such as ‘heads, shoulders, knees and toes’ as a way of teaching body parts. I also created many posters in my free time at the apartment as gifts to the organisation on my last day.